Business organizations that want to ensure reliability and safe operation of the lifting equipment that they deploy in their workplaces should periodically get these tested and certified as good-to-use by a competent and professional Lifting Equipment Certification agency. The testing and certification should be carried out as per the relevant local and international regulations pertaining to the respective equipment. At SLC, we are accredited to conduct professional inspections for all types of material and personnel lifting equipments which include cranes, fork-lifts, elevating platforms, mobile elevating platforms and hoists, to name a few. We provide both onsite and workshop based inspection services to minimize operational disruptions. Our team of certified inspection engineers is fully experienced to competently inspect, test, verify and certify lifting equipments across a spectrum of industries. We help you maintain the suitable level of functionality, safety and reliability of your equipments while ensuring its compliance to industry standards. Lifting Equipment Certification is compulsory for businesses that deploy these equipment and that seek operating licenses from statutory authorities and insurance companies and SLC, based in Riyadh, is the agency that is best equipped to provide you the services that will help you overcome your equipment certification challenges. 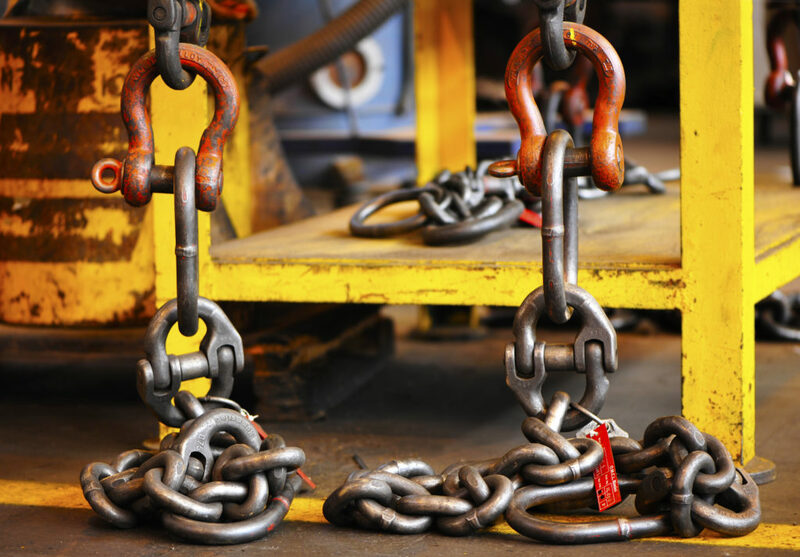 Contact us today to get your lifting equipments certified to stay compliant and competitive.